In Brief: Gmail was launched 15 years ago today, but the basic email service it started out as barely scratches the surface of what it has become today. 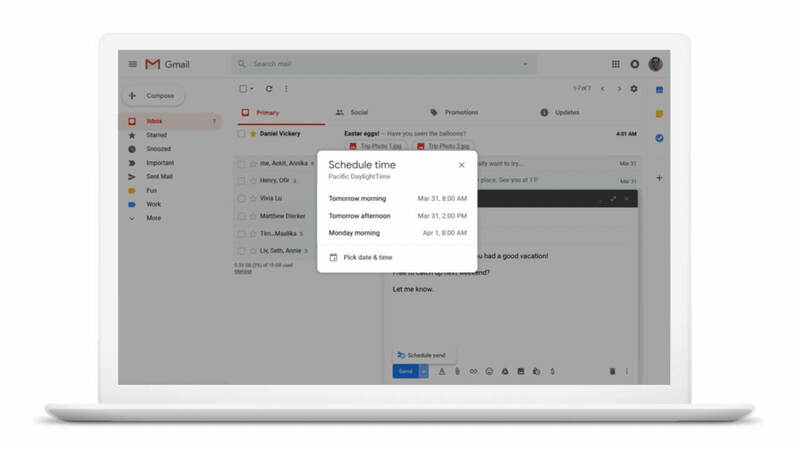 In celebration of Gmail's anniversary, Google is rolling out enhancements to Smart Compose that will make writing emails faster. The AI-based suggestion feature will now be fully support on Android devices. Support for iOS devices is coming soon. Google estimates that over 72 percent of the US workforce will be mobilized in some capacity by next year. As a result, an increased number of employees are relying on mobile email. Within Gmail's desktop web interface, Smart Compose is currently saving users from having to type more than 1 billion characters per week. Bringing the feature to mobile is expected to make that figure skyrocket. In addition to mobile support, Smart Compose is also being implemented in Spanish, French, Italian, and Portuguese. One of the risks of heavily relying on Smart Compose is sounding like a robot wrote your email. Google is aware of this and has tried to make the AI engine better adapt to your own writing style. Greetings and common expressions are now much more likely to reflect how you would naturally write them. Suggestions for subject lines are also available based on the body of the email. Finally, Google has also added the ability to schedule emails to be sent from Gmail at a specific time. Although business users of Microsoft Outlook have long since had this ability, Gmail users can now avoid their colleagues' inboxes at 3:00 AM on a Wednesday night and delay messages until business hours.